Can a Maryland Insurer Raise Your Insurance for Making a PIP Claim? Can a Maryland Insurance Company Raise Your Rates for Making a PIP Claim? Does a PIP Claim Increase Your Insurance Premiums? Many of us fear – some irrationally – our car insurance rising. Most people assume that making a PIP claim will lead to an increase in your insurance premiums. In Maryland, they no longer can. This article explains our law. Once upon a time, this was a rational fear in Maryland. 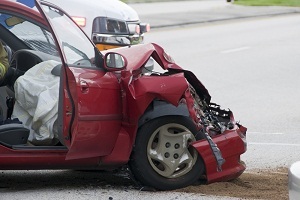 Before 2010, the Insurance Commissioner permitted motor vehicle insurers to increase premiums after their insureds made no fault claims for collisions that were through no fault of the insured. In 2009, the Maryland General Assembly enacted legislation to amend § 19-507(c) of our Insurance Article so an insurer that issues a policy that contains Personal Injury Protection coverage may not impose a surcharge or re-tier the policy for a claim or payment made under that coverage. Moreover, the insurance company has an obligation to tell you this in writing. The Maryland Insurance Commissioner Therese M. Goldsmith lays all of this out here. 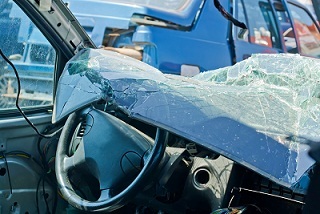 Of course, while your rates cannot rise just for making a PIP claim, the insurer can still raise your rates for other violations in the same collision. So if you drive off the road and hit a tree, they are not going to raise your rates for making a PIP claim but they are going to raise your rates for causing a crash and paying for your property damage. Why Companies Would Want to Raise Your Rates When It is Not Your Fault? Insurers look for reasons to raise your rates. I have a few clients that are frequent flyer car accident plaintiffs. These are people who have been in three or four car accidents over the last 10 years. I know what you are thinking: faker. Let me tell you: we are not taking the faker baker case. If we are your counsel, you have a real case. The one client I’m thinking of who was in three crashes in the last 10 years was in real crashes with real injuries and the accident was not his fault. So one of two things is happening here. He is just incredibly unlucky or something else. I think there are two “something elses” at play here. First, bad drivers, I believe, get into more accidents that are not their fault. Why? Because their lack of attention, aggressiveness, whatever, can both cause crashes that are their fault but also accidents that are not their fault because they did not avoid the crash. How many crashes would you have had in your life if you did not avoid someone driving like an idiot? I think there is a more sinister reason as well that insurance actuaries pick up when crunching the numbers. There is a portion of the population that does not like to make claims. They get in a collision that leaves property damage and they say, “Ah, I don’t want to make a claim. I’ll fix it myself.” Insurance companies love these people. When you make a claim, it is less likely you are one of those people. In any event, it is all good now. The insurance companies cannot raise your premiums for making a PIP claim.